Mitragyna Speciosa / Kratom Addiction Is Myth Or Fact ? Mitragyna Speciosa tree which has kratom leaves grows in the Southeast Asian forests and have given many people number of benefits like boosting of energy, making people work for the entire day and keep them motivated for that as well. Kratom leaves work because of the presence of alkaloids substance in them. These alkaloids have unique ability to create incredible effects on the persons making their minds and bodies relaxed and soothing. The results which kratom gives to the users have recognized, and everyone knows about the power of the kratom, but some individuals have also pointed it out that you can become addicted to the kratom as well as there is still an argument over its addiction. Opponents write about the substance in a way that creates doubts in the minds of people, and they try to save their children from that as the stories are written to warn the parents against the kratom products. The effects of the people against the use of kratom are on the general public in a way that they know about the kratom that it is a drug which can harm the humans and they will become addicts and lead to the withdrawal symptoms when it is stopped taking. A drug which has effects to the level where it causes you addiction means that you are now entirely dependent on that drug. If it is not available to you, it will make you feel that you actively need it and your brain gets affected in a way that you would not handle well without using it, and it will make you dependent on it but Kratom is not such drug and it is not an addictive drug like others. For example opium and heroin. Kratom can become a habit of a person if it is used for a longer period or high doses ingested, and it can become a physiological need, but it is not difficult to leave it as compared to the other painkillers or drugs. When you stop taking kratom, you will miss the relief it used to give you but it will not make you dependent or addicted to it, and you will have the similar feeling at that time which was before the beginning of the use of kratom. When you begin to you higher dose, then you will develop a desire to use the dose again rather than coming back to a lower dose. 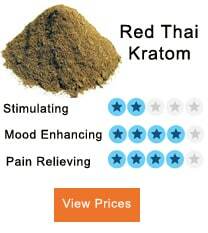 Constipation is a sign of dependency on the kratom which is usually happened in case of other drugs as well. Those who start depending on the kratom, they will be found using it on a daily basis which may be more than one time a day. 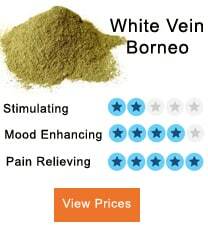 Withdrawal symptoms like diarrhea, depression or insomnia can be the problems as well. It is not very difficult to avoid dependency on the kratom. 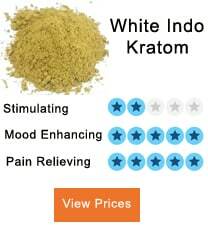 Take the standard dose of it and do not use it regularly, try to have ingestion of kratom occasionally. Once or twice a week would give you desired results without getting addicted to it.